Summer’s in full swing, and that means many companies are bringing on temporary workers to fill the gaps while their full-time employees take vacations. This can be a great opportunity for those temporary workers and the companies who hire them, but it’s also one of the most dangerous times of the year. According to a study published in the American Journal of Industrial Medicine, temporary workers are twice as likely to suffer injuries as full-time employees doing the same jobs. What’s more, the injured temps averaged 40 missed workdays, compared to just 27 among full-timers. What’s the cause of all these accidents? Plenty of accidents occur because the victims lacked the proper training, not because they were behaving recklessly. 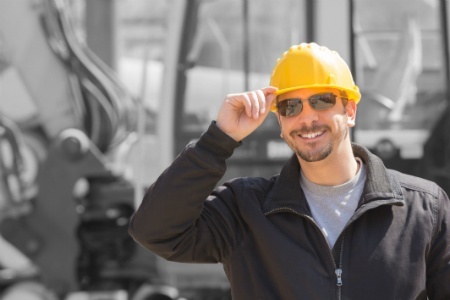 Even if your temporary workers are experienced in your industry, you need to train them on your company’s safety procedures as well as your jobsites’ unique hazards and how to use job safety analysis documents to mitigate them. Monitoring incidents over the long term is the best way to avoid them. Keep thorough records of incidents that occur throughout each year to determine your company’s trouble spots. Come summer time, make sure your temp workers are informed about these hazards before they clock in. Not every worker will be a good fit for each task, even if you’ve hired a competent, capable crew. When dealing with complicated machinery or hard-to-navigate safety hazards, make sure the assigned workers have the knowledge and experience necessary to stay safe. Before beginning a task, check training records to ensure your workers have the specific qualifications the job requires. Your temp workers may have avoided incidents so far, but the only way to spot new dangers is to get their feedback. Conduct weekly or even daily safety meetings where everyone can voice their concerns. Enforce the use of personal protective equipment (PPE), even bulky pieces that can be uncomfortable in the heat. Mandate regular breaks for cool-off and hydration. Make all data sheets, warning signs and safety procedures readily available to new workers. Encourage workers to hold each other accountable for staying safe, keeping cool and avoiding overwork. Training, incident tracking and investigation are all a lot easier with a digital solution. BasicSafe offers a comprehensive safety software capable of managing all your important safety documents to reduce the risks of injuries during the summer and throughout the year. For more tips on safety management, download our guide, 9 Ways to Make Your Job as a Safety Manager Easier.